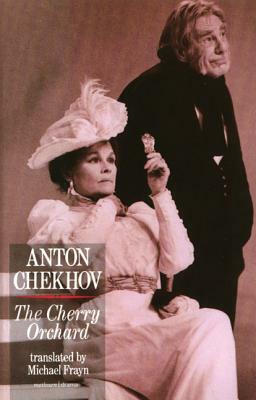 Cherry Orchard (Methuen's Theatre Classics) (Paperback) | The Drama Book Shop, Inc.
Anton Chekhov (1860-1904) first turned to writing as a medical student at Moscow University, from which he graduated in 1884. Among his early plays were short monologues (The Evils of Tobacco, 1885), one-act farces such as The Bear, The Proposal and The Wedding (1888-89) and the 'Platonov' material, adapted by Michael Frayn as Wild Honey. The first three full-length plays to be stage, Ivanov (1887), The Wood Demon (1889) and The Seagull (1896) were initially failures. But the Moscow Arts Theatre's revival of The Seagull two years later was successful and was followed by his masterpieces, Uncle Vanya (1889), Three Sisters (1901), and The Cherry Orchard in 1904, the year of his death.